New H L Holiday Contest For Kids! http://healthylombard.com/wp-content/uploads/2018/12/snow1.jpg 535 640 Juanita http://healthylombard.com/wp-content/uploads/2016/08/hl-logo.png Juanita2018-11-26 04:00:362018-11-20 07:05:21New H L Holiday Contest For Kids! Our Healthy Lombard Partner, DuPage Healthcare, LTD suggests that if you drive to work and park yourself in your office chair for hours, fitting exercise into your daily routine may seem daunting. But it doesn’t have to be. Take the stairs. 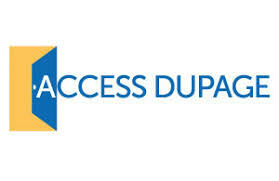 By choosing the stairs, you can add some significant steps to your day, depending on what floor you work on. 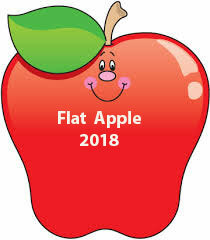 Healthy Lombard would like to express its appreciation to many businesses and organizations for making our Flat Apple 2018 Summer Program huge success. We were able to engage 196 students, ages preschool through high school, this summer in a variety of activities that kept them moving during the summer months. 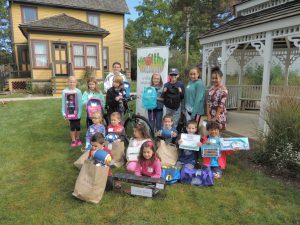 First a huge Thank You to Lombard Historical Society for allowing us to distribute the prizes from Flat Apple Summer 2018. Sarah Richardt their Executive Director, is fantastic to work. She allowed us the use of the William J. Mueller Memorial Gazebo for our Prize Presentation. Bill Mueller, the former President of the Village of Lombard, was the co-founder of Healthy Lombard and being able to conclude our summer activity at the Gazebo erected in his memory makes it seem that he is still participating in providing opportunities for kids and their families to get and stay active thus helping to reduce the Childhood Obesity statistics in DuPage County. We would also like to say a special thank you to the National University of Health Sciences for providing two volunteers. The students checked in the winners, played outdoor games with them, and help distribute the prizes. http://healthylombard.com/wp-content/uploads/2016/09/DSCN0161-e1538670031569.jpg 480 640 Juanita http://healthylombard.com/wp-content/uploads/2016/08/hl-logo.png Juanita2018-10-08 04:18:532018-10-06 10:08:20Congratulations to our winners! The United States is losing its children to accidental drownings at an alarming rate. In fact, drowning remains the leading cause of death for children under the age of 4 in most southern states, with the majority of deaths occurring in backyard pools and spas. 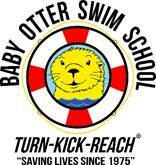 “Sadly, many of these deaths can be prevented with proper swim skills and survival tools taught to children before they even learn to walk,” says Bloom, founder of Baby Otter Swim School, which has taught thousands of children as young as 8 months old how to swim and prevent accidental drowning since 1978. 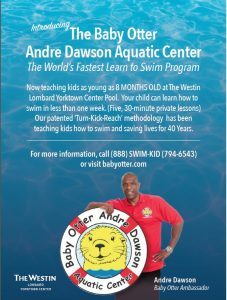 Baby Otter’s water survival lesson plan gets completed in just five, 30-minute private lessons and includes a graduation of sorts—a child is dropped into the water and must turn, kick and reach themselves back to safety. This ‘Turn, Kick, Reach’ methodology was designed and licensed by Bloom and serves as the program’s hallmark. Come join in the Fun with WTTW at Mariano’s in Lombard on Roosevelt Road. 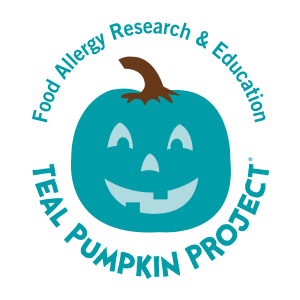 The event educates parents, grandparents, caregivers, and children about proper nutrition and delivers the message in an interactive, 2 hour performance that includes singing, dancing, healthy food sampling and one-on-one nutritional guidance and education. The events goes from 10 AM – noon and takes place near the entrance of the store within the WTTW Kids Village which has a stage area, sampling canopies and a learning tent. There will be a Healthy Lombard table where registered participants can earn i 1ticket for finding the Fair Location, 1 ticket for attending, the event, and 1 ticket for participating in the Flat Apple activity! This is a FREE event so please share this information with your friends and neighbors. http://healthylombard.com/wp-content/uploads/2016/11/happy-couple.jpg 416 603 Jay Wojcik http://healthylombard.com/wp-content/uploads/2016/08/hl-logo.png Jay Wojcik2018-06-17 04:13:312018-06-07 12:15:58Check This Out!